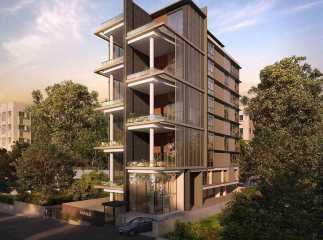 The demand for property in Kanchan Galli, in Pune has been increasing over the last few years. The popularity of property in Kanchan Galli owes a lot to the development of infrastructure in the region. Particularly, easy transportation and access to railways have played a pivotal role in the emergence of Kanchan Galli as one of the most promising residential hotspots of the country. People looking for the perfect mix of class, sophistication and comfort are keen on migrating to the region. Aristocratic lifestyle, surrounded by patches of green to mesmerise the eyes, makes the residential estates ideal destinations for the investors. The villas in Kanchan Galli are known for the vast range of amenities that they provide. Ranging from elegant finishes in the interiors to the availability of various fitness and entertainment facilities in the complex, life seems to be pleasant in the apartments in Kanchan Galli. Evidently, property prices are rising in the area over the last five years, primarily due to the inception of a number of infrastructure projects. Enhanced security facilities, fast-track roadways and the access to shopping malls, multiplexes, and places of entertainment have been attracting the investors and homeowners. Whether you invest in the properties in Kanchan Galli for commercial or residential purposes, you will be at the gaining end. Have a look at the connectivity that the area offers. The Pune-Solapur Highway is located at a distance of just 2 kms from the residential estate, which will take you only a few minutes’ drive to reach the area. Besides, the area provides good connectivity to a number of schools and hospitals. You will face no hassles in finding quality educational infrastructure for your children. The M.I.T. Gurukul College is located at a distance of 9 kms. from the residential complex. It takes a few minutes to travel from the projects in Kanchan Galli to the Uruli Kanchan Railway Station. Commuters will find no hassle in availing transportation facilities. They can reach the commercial hubs of Pune in a short time. Besides, they can also get an easy access to the Pune airport. Well, if you are interested in purchasing flats in Kanchan Galli, this is the right time to invest. The refined infrastructure in the residential estates will simply blow your mind. You can wake up and enjoy an hour of meditation in the dedicated hall, or swimming. You may also opt for activities like jogging and cycling. For children, the developers have come up with specialised play areas. Book-lovers can enjoy a good time at the library. Apart from these, the complexes come with banquet halls, clubs, and tennis courts. Senior citizens can opt for a dedicated patch of green to enjoy their time. In case you are willing to invest in the plots in Kanchan Galli, you can book an apartment for yourself at 30% advance. The luxurious 4.5 BHK flats offer all the amenities you would like to get. Home enthusiasts are increasingly migrating to the property in Kanchan Galli Pune. It’s time for you to get a taste of luxury and aristocracy.